At Assured Tree Services, we understand the importance of your business property looking professional, neat and tidy. Our highly skilled team of professionals provide a large range of tree maintenance and removal solutions for your business. We help organisations maintain the health of their trees, meet their duty of care requirements and reduce or remove risks. No matter how big or small the job, Assured Tree Services has the specialised equipment for any commercial garden needs. At Assured Tree Services, we strive to maintain competitive pricing for our commercial clients, offering quotes on a per item or daily/hourly basis as required, as well as scheduled maintenance program plans. Our team is always prompt and professional and has the flexibility to work around your office hours so it can be ‘business as usual’, even in emergency situations. 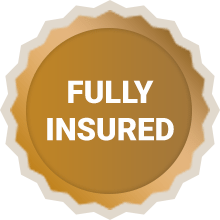 We work to the highest of safety standards and are insured for up to $20 million public liability insurance, have full Workers Compensation for all employees and comprehensive coverage for all Vehicles, Equipment and Machinery. 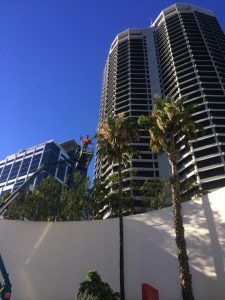 Some of our valued commercial clients include; Tim Davies Landscapers, Brightwater Care Group and over 30 real estate companies all over the Perth Metro area. We always complete each job to your full satisfaction and ensure we leave the property clean, safe and presentable. For a free assessment or to find out more about our commercial property tree services, contact us today or call 0417 938 353 and the owner Steve Merks will happily assist you.